Stephanie is currently pursuing a degree in Biochemistry with a concentration on Pre-Health and a minor in Women&rsquo;s Studies at Hawaii Pacific University. She enlisted in 2009 as a Health Care Specialist/Combat Medic and was stationed in Ft. Riley, KS and Schofield Barracks, HI. She deployed twice during her military career, once to Iraq and once to Afghanistan. She works as an Emergency Room Technician at the Kaiser Hospital in Honolulu. 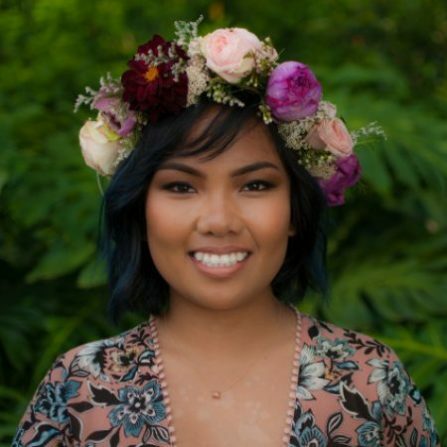 She volunteers as an online mentor on icoulbe.org, an online community that provides at-risk middle and high school students a way to connect with professional mentors; a Big Sister in Big Brothers Big Sisters Hawai&rsquo;i; a Wish Granter in Make a Wish Hawai&rsquo;i; a Job Coach in YWCA O&rsquo;ahu, and tutors on a regular basis. She looks forward to helping veterans have a smooth transition back to school.